When thinking of new ideas to promote your business, consider custom money clips from Sienna Pacific! 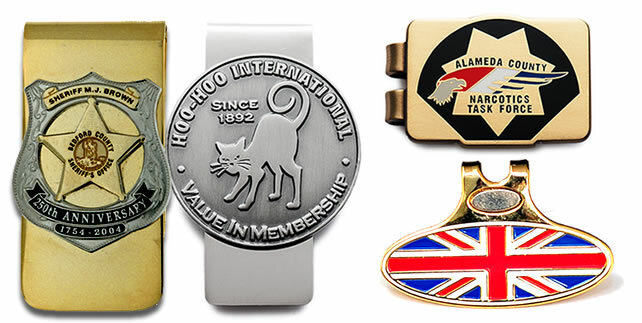 We’re now offering money clips that carry your custom design and logo. All of our custom money clips are the highest quality. They’re guaranteed to outlast the money you put in them. Sienna Pacific only offers the best, but it’s not all about the superior quality you get with these fashionable personalized items. It’s about having something branded with your company’s information. The range of options goes as far as your imagination. Your potential customers will love a custom money clip. Having a money clip keeps your cash more secure, it’s more stylish, and they’re a lot less hulking than most wallets. They also make a perfect gifts for corporate events and corporate appreciation programs.